Oh boy, I don't know what I'm going to be for Halloween 2015 yet, but I sure know now how I'm going to dress up my girlfriend, She-Ra: Princess of Power's cat. Yeah, the Russians say this Werewolf Muzzle is for dogs, but I bet I can stuff Zoogle's head into one of the smaller ones. Zoogle's got a big head. Moscow-based pet care site Zveryatam has come up with this brilliant method of both protecting other people from your dog, and protecting you from other people. 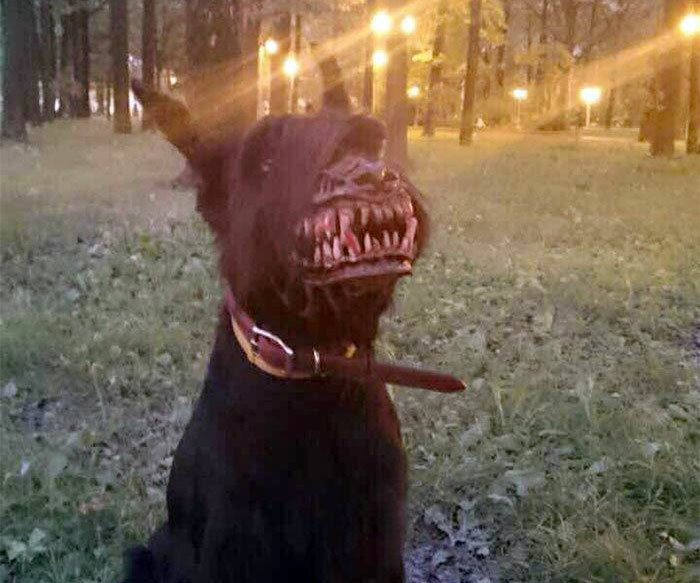 The Werewolf Muzzle fits loosely over your pup's mouth and nose, attaching behind his ears, and instantly transforming him from floppy, lovable Giant Schnauzer to snarling, bloodthirsty hound of the night. The toothy, entrails-laden portion of the muzzle is made of non-toxic plastic, and the interior has a leather insert for comfort. So yours won't be one of those weredogs who just mopes around whining and trying to paw his face off instead of intimidating bratty children and know-it-all brogrammers. 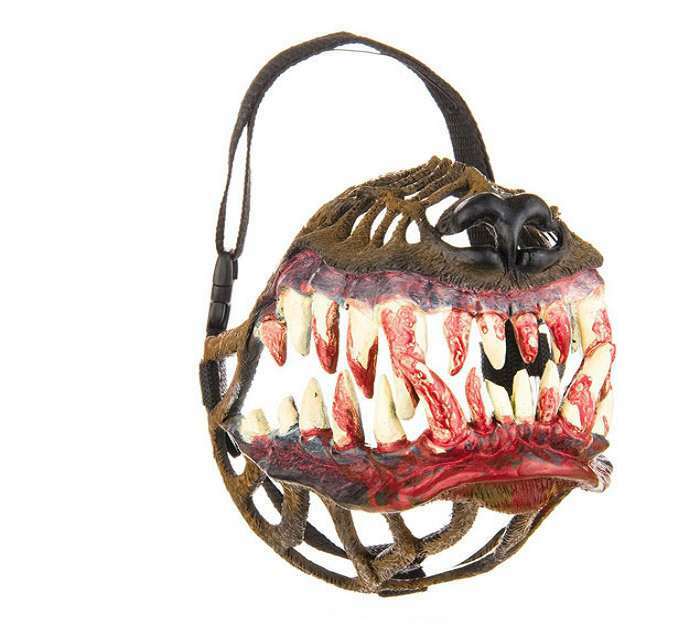 Zveryatam sells its Werewolf Muzzle in 5 sizes, fitting snout girths from 20 and 35 cm. I think the 22 cm model will be perfect for Zoogle. October 2015 Update: The Werewolf Muzzle got such a grand response from Americans that the Russian company is launching their product in the US. At printing the dog masks were sill "coming soon" but follow the link below for more information and notification of their availability. Muchas danke to Ruth W. for the Dude Product Tip.